New members are always welcome and we have two membership options available - private and corporate. Private membership entitles you to attend all our public meetings, receive a hard copy of the quarterly newsletter, attend our Annual Dinner, AGM, Awards Ceremony and Summer Outing. Only one subscription is required per household. We offer online sign up and good old fashioned paper application. A paper form can be downloaded from the link below. If you want to join online now please fill in the form below and then either send us a cheque (address is in the contact us section) or use the Paypal Subscribe button below to send us your membership subscription using a creditcard or your paypal account. Corporate Membership confers all the same benefits as private membership but entitles you to an additional two hard copies of our newsletter and allows up to three nominated people to attend all our functions and events. It also allows you to advertise your membership with our logo on documentation and your website. 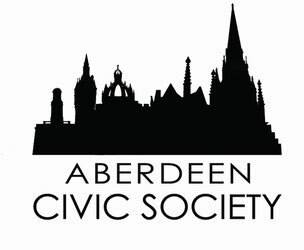 If you'd like to join us as a Corporate Member please email us at info@aberdeencivicsociety.org.uk with details of your company, billing address and your nominated members.